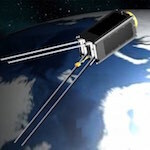 This is a copy of a message send by PA0DLO to the Amsat-BB mailing list with information on how to track Satellites carrying amateur radio payloads that will go into deep space. Many radio amateurs are familiar with tracking amateur satellites that orbit the Earth in low orbits or high elliptical orbits. Several tracking programs and all required orbital parameters are available for tracking these satellites. 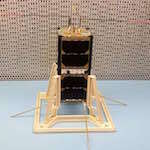 But soon spacecraft carrying an amateur radio payload will be launched towards the Moon and beyond. If amateurs want to track these spacecraft they will need suitable tracking software and orbital elements to be able to calculate the positions of these spacecraft. Probably most amateurs will prefer GMAT, because it is most user friendly, has a lot of documentation and help files, and contains many sample scripts. Scripts that are created by other amateurs can be used without having much knowledge or experience with GMAT. It is not certain that orbital elements for all deep space spacecraft carrying amateur radio payloads will be made available to radio amateurs. Therefore amateurs may need to measure these orbital elements themselves through doppler and ranging measurements. So amateurs will need to set up their own Amateur Deep Space Network, similar to NASA’s DSN, ESA’s Estrack, etc. This will require some stations with large enough antennas and with equipment to carry out doppler and ranging measurements to determine direction and distance to the spacecraft. This new development is an interesting challenge for radio amateurs. On Tuesday 20 March 2018 PicSat suddenly fell silent, after two successful morning passes over Europe. Attempts to re-establish contact have failed, nothing has been heard from the satellite, no sign of life. On Thursday 5 April 2018 the team decided to call the mission to an end. A “pot” (French for party / drink) was organized at noon at the Paris Observatory in Meudon. Sylvestre Lacour did a short speech. Four radio amateurs who have been PicSat fans and great support joined in via a dedicated Google Hangout. UWE-3 celebrating 4 years of operation in space. 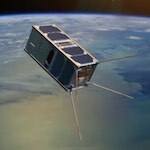 UWE-3 News: celebrating 4 years of operation in space. UWE-3 in clean room shortly before launch 2013. DK3WN, Rainer, PE0SAT, SP7THR, EU1XX, JA1GDE, JA6PL, G7GQW, ON4HF, LU4EOU, DL8MCO, JA5BLZ, CU2JX, R4UAB, VK5HI, JA0CAW, IW0HLG, JO1PTD, YC3BVG, DB1VQ, JA6DHC, ZL4JL, VK2FAK, JE9PEL, JH4XSY, JF1EUY, N2ACQ, PY4ZBZ, CX8AF, DG4YDF, LU7DRR, PD0OXW, PA2EON, IK8OZV, ES5EC, K4KDR, ZR1ADC, JE1CVL, EA7ADI, EA1JM, PY2SDR, VE7CEW, PA3GUO, ES5TO, SM0TGU, EA4SG, DL1MX, W6YRA. THANK YOU ALL FOR YOUR EXTRAORDINARY SUPPORT! In the weekend of June 10/11, 2017 volunteers from the 25m dish in Dwingeloo The Netherlands where successful in activating the Australian QB50 satellite i-INSPIRE-2. This satellite is build at the Australian new south wales university for the QB50 project and is launched from the International Space Station, May 26 at 04:00 UTC. No signals where received and therefor help was requested from the CAMRAS team. During a pass on Saturday June 10th 2017 signals where send to three QB50 cubesats i-INSPIRE-2 and UNSW-EC0 by the 25 meter dish and ZA-AEROSAT with the help from DK5LA. On Sunday signals where received from i-INSPIRE-2 by the CAMRAS dish and also by other radio amateurs over the world. The other two satellites UNSW-ECO and ZA-AEROSAT are still quite but maybe there will be a second attempt. 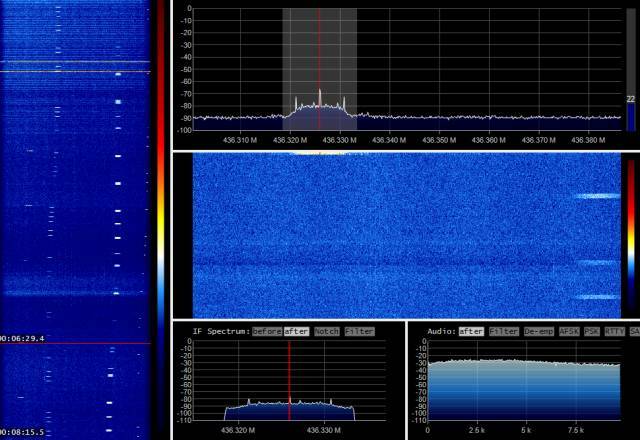 For the ZA-AEROSAT activation there is help from the german HAM radio station DK5LA who transmitted a very strong signal on 2 meter to this South African build satellite. The following response was brought to my attention by PB2T. 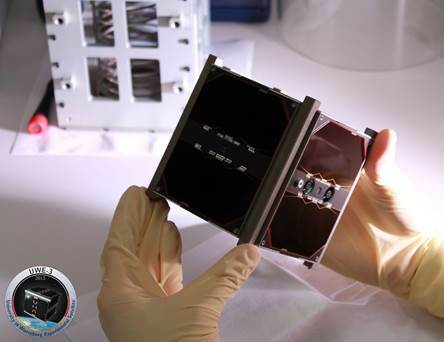 I-Inspire-2 is a 20 x 10 x 10cm cubesat built by the University of Sydney in collaboration with the Australian National University and the University of New South Wales (Sydney). 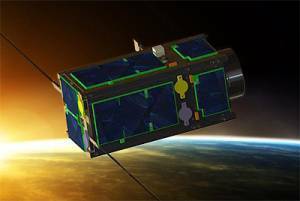 On board the tiny spacecraft is an experiment, part of the European QB50 project, designed to “explore the lower thermosphere, for re-entry research and in-orbit demonstration of technologies and miniaturised sensors”, as reported in earlier editions of the WIA broadcast. Its operational frequency was coordinated by IARU to be in the satellite segment of the 70cm amateur band. It was placed in orbit from the International Space Station in late May. The deployment was successful; however there were no signs of life when the ground stations started looking for it. The engineering group quickly tested various scenarios on the engineering model only to come to the conclusion that, due to the extended delay in the deployment, the satellite’s battery was likely to be depleted and the satellite was trapped in an endless loop, trying to deploy its antenna. The engineering group suggested that the satellite is still listening albeit with its antennas in the stowed position. This meant that the satellite command receiver might have difficulty receiving any signals from ground control stations. A set of commands were devised which, if received, would instruct the satellite to wait until the battery is charged before attempting to deploy its antenna. Both UNSW and ANU ground stations transmitted the recovery command to the satellite; however after a week or so of no success it was decided that more transmitter power was required to overcome the lack of receiver sensitivity caused by the still stowed antenna. A request for assistance was passed to EME (Earth-Moon-Earth) operators around the world and many responses were received. The greatest hope for a successful recovery was thought to be PI9CAM using high power and a 25 m dish, normally used for radio astronomy but also EME. They were scheduled to transmit on the weekend of the 10th and 11th of June. On Sunday the 11th of June, during the morning pass, Rob VK1KW reported a strong signal every 30 seconds on I-Inspire-2’s frequency. Dimitris VK1SV who is part of the ANU team, verified reception from home around midnight. The following morning Dimitris drove to the ANU ground station and was able to send commands to the satellite for the first time since it was deployed. Many other radio amateurs around the world also reported reception of the beacon. The satellite had come back to life! This is a wonderful example of successful collaboration between radio amateurs and the academic community. If a frequency outside the radio amateur band had been used, it is doubtful that the satellite would have been brought back to life. It took a couple of days but finally a sign from PRATHAM on 145.980. The signals are weak but you can decode the signals. Now lets try to received the AFSK 1200 signals when the satellite is over there second ground-station in France. Fingers crossed that the satellite will also become active on 437.455 with 1200bd AFSK.